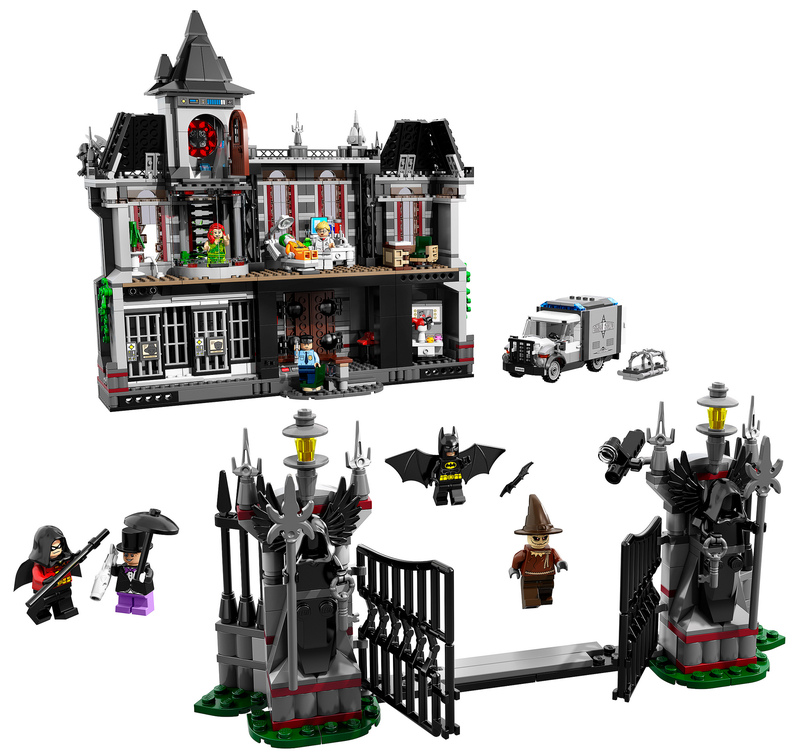 The Lego 10937 Arkham Asylum Breakout Batman Set will be released in January 2013 and will be available exclusively at LEGO Brand Stores or Shop at Home. The Lego Arkham Asylum 2013 will be bigger than the last, coming in at 1,351 pieces! Thanks to Toys N Bricks for the info. 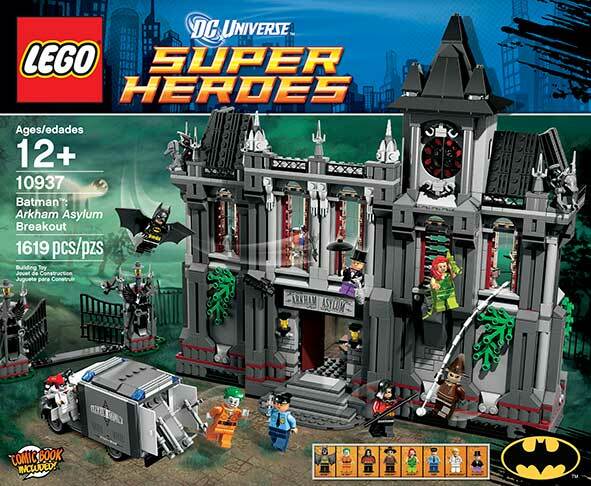 The Joker, The Penguin, Poison Ivy and Scarecrow have escaped from Arkham Asylum with the help of Dr. Harleen Quinzel. These villains are about to wreak havoc in the streets of Gotham City! Help Caped Crusaders Batman™ and Robin swoop into action and put those good-for-nothing criminals back where they belong! Chase after the security van as it breaks through the gothic gates!